This is the speech given to the Yes Scotland Burns Supper, January 2014 at the Hub, Edinburgh. I want to reflect on the life, works value and reach of our Robert Burns. As Scotland’s Cabinet Secretary for Culture and External Affairs I see the impact he has made and continues to make in the world of culture and across the world on a constant basis. His memory is immortal as he embodies in his work an appreciation of life, love and liberty which transcend borders and speaks through the centuries. He was the ultimate cultural activist challenging the political mores of the day and visioning a different future. When political commentators express surprise at the extent of the artistic and cultural sectors support for YES I say why wouldn’t it be thus. Poetry, song and theatre are shaped and also shape our sense of selves and of the possible the expression isn’t the ‘science or economics of the possible’ – it is the ‘art of the possible’. Independence will bring many things of discovery and rediscovery of Scotland and who and what we all are in the wider world. But what will be critical is that we will be able to explore the complexities, contradictions and ambiguities of our nation, revel in the beauty of the arts which creates, expresses and reflects past, present and future , no longer looking over our shoulder trying or needing to shout and stamp our feet on our right to be heard – we can look to the future with eyes set full square on the horizon on that journey of discovery and rediscovery. But enough about Yes lets look at Burns. He was the eldest son and had 3 bothers and 3 sisters. Mount Oliphant was where Robert moved to at 7 whose earth was so poor it almost ruined the Burns family. Burns himself was an exceptional talent but he was shaped and formed by his circumstance and the people around him. He resided at Lochlea near Tarboltion until 1784 when his father died after which he moved to Mossgeil farm near Mauchline. From his mother and her relative Betty Davidson, in his own words he ‘cultivated the latent seeds of Poesy and tales and songs concerning devils ghosts, fairies, brownies, witches, warlocks, spunkies, kelpies, elf candles, enchanted towers, dragons and other trumpery’. I was married in Alloway Kirk – the newer one opposite the Auld Alloway Kirk where Burns’s father is buried. And yes traveling home, we passed the kirk from the pub late at night from what was the Burns Monument Hotel now the Brig O Doon Hotel and it was indeed a scary journey. No wonder the ‘trumpery’ he learned at the knee of Betty Davidson transformed in one of the most remarkable pieces of poetry ever written, Tam O Shanter. The reach and realm of Burns that it is alleged that he even influenced Michael Jackson and the world’s first ever marathon big production musical video ‘Thriller’ with the discovery of and journey through monsters in the night was allegedly inspired by Tam O’Shanter. Education shaped and formed Burns, he was not some poorly educated heaven taught ploughman made good, his father ensured he was taught and taught well by John Murdoch who was paid by William Burns and his neighbours to educate their children. I don’t buy the heavenly sent ploughboy branding image – he was educated and an informed genius, he was a bright child and keen to read , Shakespeare, Alexander Pope and Henry MacKenzie and many others were amongst his reading material. Tam O’ Shanter in its composition, pace and storyline is a work of literary genius. It intersperses raucous raconteur with interludes of philosophical reflection and poetic beauty with pace and rhythm and indeed classical references which again counter the uneducated ploughman poet tag. We understand Robert wrote his first poem age 14 but his output soared from around age 20 and the Kilmarnock edition was printed when he was 27 and as a result he reconsidered his plans to emigrate to Jamaica.. If Alloway is famed for where Robert Burns was born and Dumfries for where he died (I always think it is better to be associated where someone was born than where he died) then surely Edinburgh represented a time in his life when although his poetry writing was less notable except of course by Ae Fond Kiss borne out his relationship with Agnes McElhose Clarinda, he made merry, was loved and became a darling of the gentried class in Edinburgh and developed Burns the Brand. His travel in the Highlands also saw his collecting of fragments of old songs, his contribution to capturing and keeping for later generations, music and songs of Scotland that cannot be underestimated. Liz Lochhead our Makar at a fantastic Big Burns Supper at Celtic Connections last year said for that alone even had he not written the poetry he would still be her hero. He continued the work of Allan Ramsay and Robert Fergusson placing Scots once again among the literary languages of Europe as it had been in the fifteenth and sixteenth century with Dunbar, Henryson, Douglas and Lyndsay. In 1788, aged 29 he bought a new farm at Ellisland, Dumfries to at last settle down with Jean Armour. Previously it was thought he was in a poor state both physically and mentally but a letter discovered by the National Records of Scotland in 2010 from Burns boss John Mitchell, showed that Burns embarked on a 10 mile round trip on the 14th July, 1796 one week before he died to collect his salary. Mitchell’s letter gives us a vivid glimpse of the dying poet’s state of mind and I quote “reduced and.shattered though he was, in the extreme, his wit and humour remained”. So from the story told we now know Burns was joshing with his workmates and his wit and humour remained to the last despite his weakening physical state. On the day of his funeral Jean gave birth to his on Maxwell. Thousans lined the streets of Dumfries to the poet. And of course this weekend the brilliant Big Burns Supper takes place in Dumfries when thousands line the streets with lanterns , lightworks and puppetry in tribute. Let’s reflect on Burns the man and what he has given us. B – Brotherhood and international brotherhood at that. He was political and he wrote powerfully not just as a Scottish patriot but as a man passionately interested in internationalism – of the French Revolution, of American slavery, and the new revelations only last year in a new letter of his relationship with the actress of the time Elizabeth Kemble a well known radical actress well known for her performance in anti-slavery play. And Burns is indeed internationally known. His anthem Auld Lang Syne is sung the world o’er from Times Square to Sydney Harbour. If I was enthused by his work growing up in Alloway, I have been overwhelmed by the impact of his work as your Government Cabinet Secretary. Invariably any meetings with international visitors will touch on Burns . The President Of Ireland Michael D Higgins in Dublin – himself an intellectual and poet spoke fondly of Burns having the capacity to connect with the mass of ordinary folk as his works reach them in simplicity, song and purity of message. I met Count Tolstoy or Mr Tolstoy as he likes to be known in 2012 , he is a special adviser on culture to Mr Putin and we discussed collaboration with the Robert Burns centre and Russian literary festivals. Or to Shanghai in China where I have heard school pupils sing Burns to me and brought tears to the eye. To the poet and adviser to the Culture Minister of South Africa, Willie Kgositsile (known as Willie), who spoke to me enthusiastically about Burns. Burn’s work also inspired Maya Angelou the African American poet, writer and actress who made a memorable film on Burns in 1996, ‘On the dirt roads of Arkansas I first met Robert Burns’ – she was raped at 8 years old, and mute from her abuse and she learned to speak again through her being taught Burns at school and discovered that reciting poetry aloud gave better meaning. She has reflected how a white, man born centuries before her in another continent could reach her through the power of his work. She was particularly touched by ‘green grow the rushes o’ and A Mans a Man is her favourite. The Indian Rabindrath Tagore is regarded by many as the greatest writer in modern Indian literature and first Asian to win the Nobel Prize for literature in 1913. His links to Scotland date back to his grandfather who was given the freedom of the city of Edinbugh in 1845 – Tagore was a fan of Burns and Auld Lang Syne inspired the Indian poets ‘Memories of the good old days’. and of course the Rights of Man. And it is his sense of the importance of liberty of individuals and freedom of peoples and mans humanity and responsibility for each to another which prevails today. ‘Whatever mitigates the woes or increases the happiness of others, this is my criterion for goodness; and whatever injures society at large, or any individual in it, this is my measure of iniquity. ‘ that sounds like something that should be in the written Constituion of an independent Scotland. He wrote of unrequited and requited love of the many women he loved but he managed to understand and express the individual qualities of women, of their mind, soul, spirit not just the sensual, physical, the lustful the crude which he also managed . To A Mouse’; “I’m truly Sorry man’s Dominion had broken Nature’s social union.” – a lesson of fairness and social justice which children relate to and perhaps an early lesson on climate change…? His political views are often claimed by all political parties – socialist, nationalist and internationalists and even the conservatives with reference to the Dumfries Volunteers – perhaps he just knew how to keep his job with that one. It might assure that in todays HMRC located in Bathgate in my constituency we do indeed have employees who are Yes voters. I’ve even made a case for why the Greens may want to claim him. Perhaps it is because Burns is of us all . And the lessons of this man for us in this year, at this time, in the task that lies before us to seize the moment and the power to shape our country’s future to take control of our lives, our communities and our country surely must speak to us and breathe on us as wind to our back as we move forward and create the art of the possiblein Scotland. So why is this man, or the spirit and work of this man Immortal, that we toast his memory? His poetry, songs and writing reached and touches still, beyond the years, beyond the shores, between the ages, between the sexes, from a different time, from a different place – they moves us, inspires us, brings us together in suppers like these but as nations internationally. 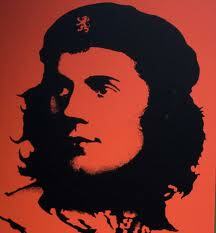 Robert Burns of Scotland, for Scotland and of the world. Well said. Celebrated this amazing human being and fellow Scot on a hot night on the foreshore of the Indian Ocean in Fremantle with a fellow Scot drinking some red and reading his poetry. Pride is not a frequent word in my domain but I can’t feel anything but when I think about him and he is not alone when I learn every day more of this rich history and culture which has given the world so many things that have improved life for people everywhere. And the Poets are the story tellers we need them to remind us of what’s important. He would be raging if he was around. Enough said. A great celebration to all the Guid folk both bear and far and especially those at BellaCaledonia. You keep me from despair some days with your brilliant journal. Really lovely and heartfelt words about the Bard. I can’t help comparing the grace and eloquence of Fiona Hyslop’s address with the crass patronising video from the BT campaign.